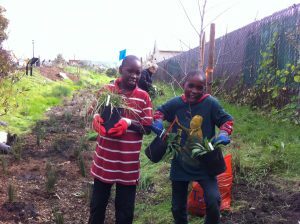 Earth Day is around the corner and The Watershed Project is celebrating! There are some wonderful opportunities for you to bring your appreciation for the environment into fruition this year. 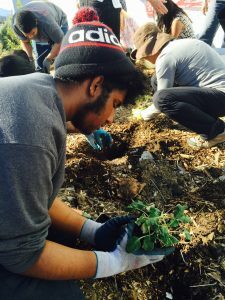 First on April 13 at 10:00 am- 1:00 pm at 17th St and the Richmond Greenway, spend your morning gardening, mulching, and planting with us! There is more fun to be had on April 20th from 9:00 am- 11:00 am at Wildcat Creek @ Verde Elementary School. We will be doing our part to keep SF Bay watersheds clean. After all your hard work we will be holding an Earth Day Celebration, filled with activities and food at Shields-Reid Park and Community center from 11:00 am- 2:00 pm. 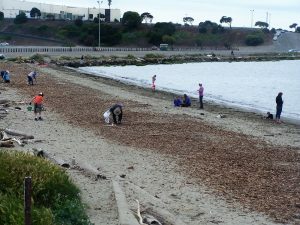 And that’s not all—we are also holding our annual Earth Day cleanup at the Albany Bulb on April 20 from 9-12 featuring a scavenger hunt and a most unusual item contest. This is a great event for the whole family to enjoy. Last year many people arrived by bicycle making it a double win for the environment. Dog walkers welcome too–but we ask you to please steer your pet clear of the refreshment table. Earth Day is coming up on its 50th anniversary, marking a significant point in history; marking the acknowledgement and deeper understanding of our impacts as humans and duty to take care of our environment. This time in history brought on a much-needed wave of action and education surrounding global environmental issues. Please join us this year; enjoy yourself in the outdoors, expand your knowledge and give back. Tools, gloves, food will be provided for all of the events. Hope to see you soon!